You receive $15 off the regular rate and the tip is included! Only applies to 60 and 90 Minutes. Refer a friend and receive first visit rate for your next massage with tip included! Your friend must book and complete a session (either massage or health consult) with me and then you get your savings on your next massage! If you come in for more than one massage within a calendar month you will receive the first massage visit rate for the second massage and beyond. If you are a Student you get will receive the first massage visit price. If you are over the age of 21 please have student ID with you. Buy a Package of 3 massages and get 20% off the total price! Use within 6 months of purchase date. 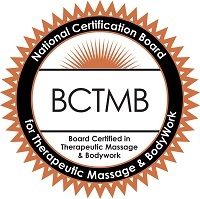 $155 for 3, 60 minutes massages and $210 for 3, 90 minute massages. Gift Cards are available upon request. Call me or email me with any questions! They are good for one calendar year.